Countries from the North American, Central American and Caribbean region, will compete at the 2018 NACAC Mountain Running Championships hosted by the Loon Mountain Race, in Lincoln, NH, on Sunday, July 8. Both individual and team competition will be staged, with nations competing head-to-head with one another. Teams are comprised of up to four men and four women with the top three finishers scoring for their respective country. American athletes represent six states and range in age from 20 to 38. 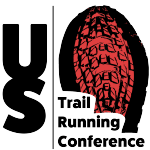 This is the 15th edition of this international competition, which this year will be held concurrently with the USA Track & Field (USATF) Mountain Running Championships, the Collegiate Mountain Running Championships, and the US Team selection race for the 34th annual World Mountain Running Championships. The women’s team is comprised of the gold-medal winning squad from the 2017 World Mountain Running Championships. 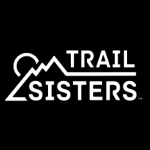 Caitlin, Kasie, Allie and Addie Bracy – 2017 World Mountain Running Championships women’s team gold medalists. Addie Bracy, 31, Longmont, CO – “I’m thrilled to be part of Team USATF again, and even more excited to be teaming with our full roster that took the gold medal at last year’s world championships. I have so much admiration for Kasie, Allie, and Caitlin and can’t wait to be teammates with them again. I am very confident that we’ll have a strong performance. “Loon Mountain was my first ever mountain race, so it stands out in my mind as a very special place. I’m extremely excited to return there and tackle the infamous (and, terrifying) Upper Walking Boss now that I have more experience under my belt! This years most experienced team member, Kasie won the 2011 World Mountain Running Championships. Allie on her way to a 5th place finish at the 2017 World Mountain Running Championships. Caitlin cross country ski racing at the 2018 Winter Olympic Games. The men’s team is comprised of three athletes from the 2017 US Mountain Running Team, and last year’s silver medalist from the NACAC Mountain Running Championships. 2016 World Mountain Running Champion Joe Gray. Mike at the 2017 NACAC Mountain Running Championships in Golden, Canada. Joseph racing at the 2017 World Mountain Running Championships. A composite image of Andy Wacker at the 2017 World Mountain Running Championships. The NACAC Mountain Running Championship rotates being the United States, Mexico, and Canada. This is the fifth time the United States has been the host country having hosted the inaugural competition in 2004, again in 2005, 2009, and 2013. Mexico hosted in 2006, 2008, 2011, 2014, and 2015, while Canada hosted in 2007, 2010, 2012, 2015, and 2017. Last year, NACAC team gold went to USA on the men’s side and Canada for the women. Mexico won individual titles in both the men’s and women’s division. Read the race recap in our Trail News. The course at Loon Mountain will be a mostly uphill course to mirror the format of the World Mountain Running Championships, which are primarily uphill in even-numbered years and up and down loop courses in odd-numbered years. The 6.6 mile route climbs 3200′ and will include the famed Upper Walking Boss, although not long (under one mile), the “Boss” boasts sections upwards of forty percent grade, and it marks the final ascent en-route to the finish line. Kasie Enman runs Upper Walking Boss at the 2016 USATF Mountain Running Championships. 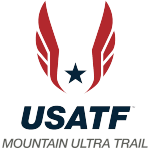 For more information about the US Mountain Running Team visit usmrt.com or the USA Track & Field website. For historic results from the NACAC Mountain Running Championships visit the results webpage of the World Mountain Running Association.